HTC U 11 is the glimmer of hope that’s shining for the company to bring back those much-needed sales after it pretty much killed any hopes of a positive 2017 impression with the release of the overly expensive U Ultra. A new Geekbench benchmarking score shows that the smartphone manufacturer is still hopeful about this year and it has also armed its flagship with the latest and greatest hardware from Qualcomm. 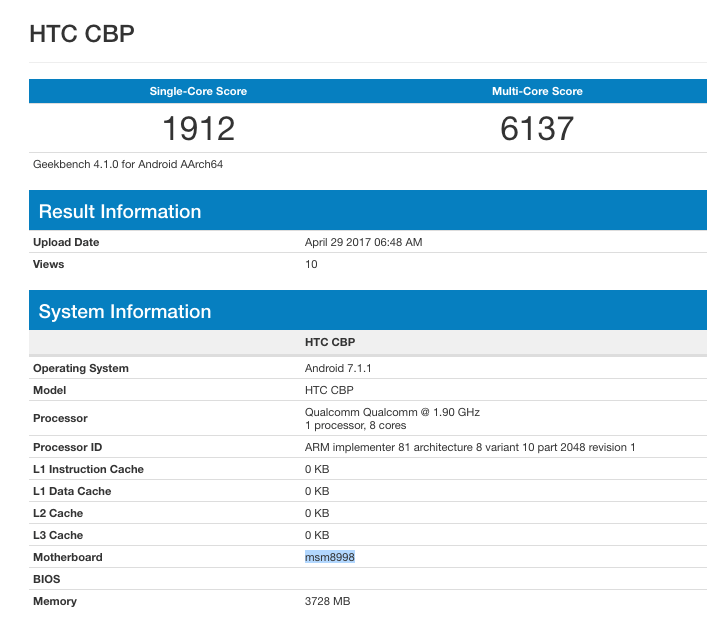 Featuring a Snapdragon 835 according to the specifications listed in Geekbench (processor shown to be running a total of eight cores) the HTC U 11 has been specified as HTC ‘CBP’ and in the benchmarking score, the alleged handset is able to obtain a single-core of 1,917 points while exceeding 6,000 points in the multi-core test results. This is more or less in line with the other leaked benchmarking scores that we have seen from devices running a Snapdragon 835, so it will give some consumers a huge sigh of relief that the company is finally going to announce a flagship that’s worthy of the year 2017. According to previous rumors, the HTC U 11 is said to using a glass and metal construction present in the U Ultra. However, this time the company should end up increasing the build quality of the phone. The impressive rear glass panel of the Galaxy S7 and G6; that is what HTC should be aiming for. Though it might seem that the company is running in its competitors’ footsteps, when something like this has helped out the likes of Samsung and LG, we honestly see no reason for HTC to deviate. 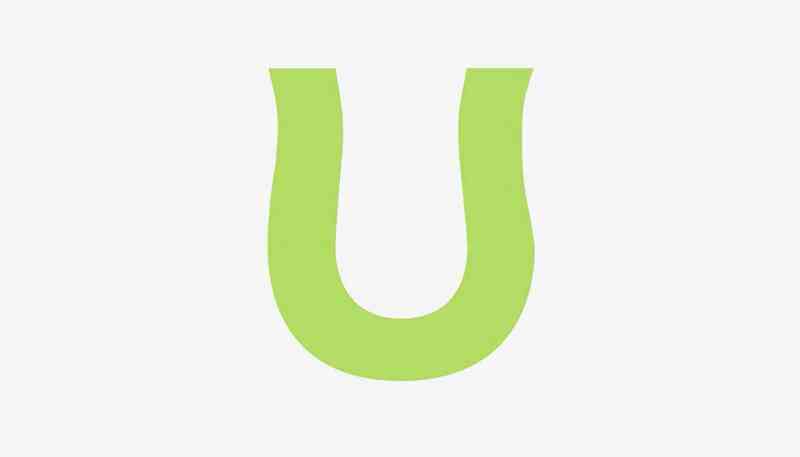 The glass and metal body will also enable the HTC U 11 to provide support for wireless charging but that is going to be entirely up to the Taiwanese manufacturer if it is going to take the necessary steps for the device to get that upgrade. What we also want to see is the return of the headphone jack. Type-C USB is the future, but for now, let us stick to what customers are used to seeing and appreciating. Are you satisfied with these benchmarking results or were you expecting a much higher score? Let us know your thoughts down in the comments. Galaxy Note 9 Bound for U.S. Shows up on Geekbench With Respectable Scores & 6GB RAM – Any Difference Between Galaxy S9 Plus?